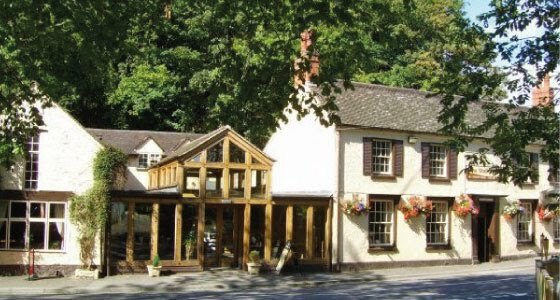 Set in the Beautiful South Shropshire countryside, The Station Inn is a traditional stone built public house that has been sympathetically restored by patrons, Lesley and Richard Davies in the Long Mynd hills. 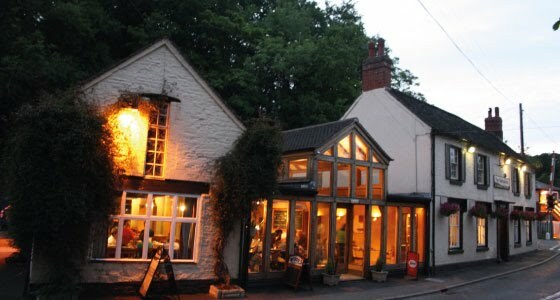 Situated a stone's throw from the A49, Shropshire's main arterial route from Shrewsbury to Hereford; The Station Inn is just a 20 minute drive from Shrewsbury, Ludlow and the Midlands motorway network. Lesley and Richard have created a warm, friendly atmosphere in both the bar and restaurant areas with welcoming log fires and tasteful decor throughout. There is an extensive restaurant and bar menu with home cooked specials, light meals and snacks, Sunday Carvery and grills served seven days a week. We took some relatives to visit and they were very impressed with everything. Beer.,food,atmosphere and surroundings. Definitely come again. All in all great meal & service. Thank you! Fantastic full English breakfast, sausages and bacon butchered and prepared on site. Superb. Great food excellent friendly service a new found favourite place to dine. 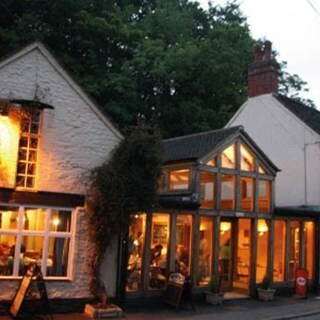 We enjoyed a fantastic meal at the Station Inn , friendly staff ,fantastic food and a great atmosphere. Will definitely be returning. Great steaks - cooked as they should be! Will definitely recommend to others and return ourselves! Disappointed I had to ask for cutlery so that I could eat my starter. Horrified I had to endure a 3 year running up and down the restaurant shouting and a baby screaming on the next table. Will not be visiting again, despite having good food and wine. The Sunday lunch carvery was excellent and the welcome warm and friendly. We've been before and we will be back again. Wonderful Steaks again, I will try the Flat Iron next time on the Recommendation of both the Chef and the lady on the table next to ours as it looked amazing. Always love coming to The Station Inn, we just wont leave it so long next time - Thank You. We had Christmas dinner and on the following Friday. There was absolutely no atmosphere of it being Christmas. The waitresses all seemed rushed. Nice place with basic but wholesome menu. Very enjoyable meal. Would recommend to others. Excellent food and service. My husband and i thoroughly enjoyed it. We especially liked how our meat was carved infront of us then cooked to perfection infront of our eyes. Excellent meal with everyone more than happy with their choice. However, the staff seemed very disorganised & lacking in direction &, whilst the food came out in good time, drinks orders were slow, a wine list request was ignored and nobody's eye could be caught to give a pudding order. Whilst most members of staff smiled a lot, one member was patently not happy & it showed. Everything else about The Station, from the logo to the decor to the food, is so professional but the staff need more direction to make them just as professional. A warm welcome would be good instead of 6 people behind the bar trying not to make eye contact with us. However, as the food is so good, we'll be back. We where staying at one of The Mega Pods for my partners Birthday, so we decided to go to The Station for Dinner. It was one of the best Steaks we have ever had, cooked perfectly. Service was great and friendly and very knowledgeable from food to drinks. Thank you so much for everything. Lovely Food, Seating arrangements felt quite suffocating at times and could do with better table spacing in my opinion. Brilliant experience will definitely be returning and recommending to my friends. The Station is a fantastic location and has been furbished to the highest standard. The staff were excellent and dealt well with problems. If they are to sell themselves as a meat heaven then the meat must be excellent. Both our flat irons were tough and difficult to eat and when replaced with rump steaks they were not much better. Steaks I would expect at Weatherspoons. Maybe my expectations had been built up and were too great!